Oh, that chest burn that just won’t go away; what a drag for pregnant moms… Heartburn can plague a pregnancy. In our years as midwives we have discovered preventions, a few easy remedies, and an AVOID. Prevention: First try to avoid getting too full – snack often, eat six meals rather than three every day. If you notice that spicy foods or foods that make you burp increase the heartburn, then obviously avoid them. Try not to eat right before laying down, as the pressure of your growing belly on your squished stomach can increase the leakage of acids into your esophagus. Remedy: Try having raw almonds in your purse and snacking on them periodically. They contain an enzyme that can be neutralizing to stomach acid. Many people also find success with Papaya Enzyme pills or lozenges. Our favorite middle-of-the-night remedy is slippery elm bark powder mixed with a little honey. Mix about a tablespoon of both in a small bowl until a paste is formed, then gum it down. • Fiber: 11 grams and Protein: 4 grams. • Calcium: 18% of the RDA and Manganese: 30% of the RDA. Avoid: Tums or other antacids with added calcium. The calcium sounds like a good idea, but is practically non-absorbable and in large doses (i.e., popping 2 Tums every couple of days the entire last trimester) can form calcium deposits in the placenta. This can cause small parts of the placenta to die or cause some parts of the placenta to be replaced with fibrous tissue. Calcification can also obstruct parts of the placenta with clots of maternal blood, which can block blood vessels. Calcification can be caused by other factors too, like cigarette smoking and in most cases is not fatal, with the fetus generally not being harmed. But, we want the placenta to be as healthy as possible and I feel it wise to avoid adding that much of a substance that isn’t helpful and, even though rare, can be harmful. 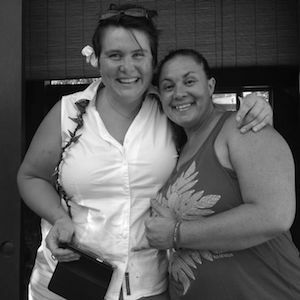 Authors: Augustine and Ki’i are traditional midwives offering ‘island enhanced’ prenatal, birth, postpartum, and newborn care in home and in office on Maui. Their full-service maternity clinic is called Hale Ho’olana and they are taking new clients due in 2018. For more information or to schedule a complimentary appointment, please visit halehoolana.com or call 808.276.3365.